Screen Package, Cedar Stain, Asphalt Shingles. Assembled with stainless steel screws and glue coated galvanized fasteners. Engineered to withstand strong winds & heavy snow loads. 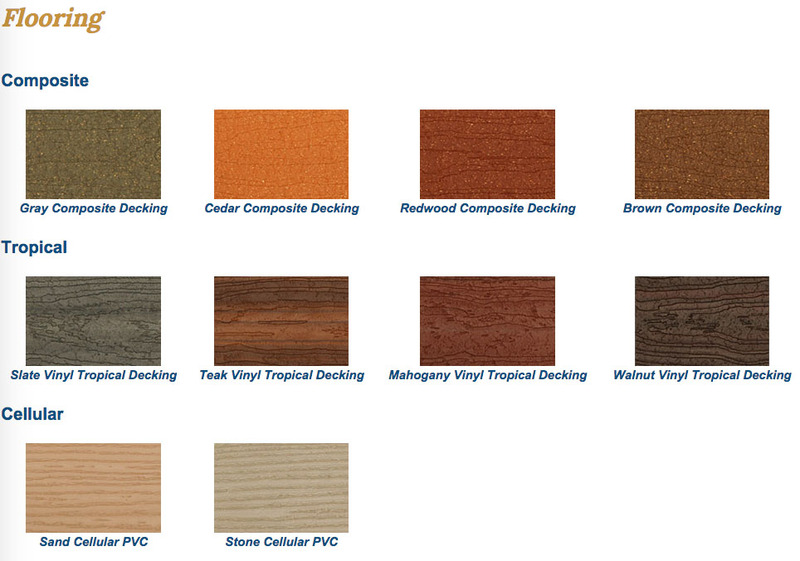 Made from #1 Premium grade pressure treated lumber. Craftsmanship and materials are backed by a ten year limited warranty. Spindles Above the Door: Continues a uniform look. 6"" or higher posts are recommended. 6"" Higher Posts: Creates a higher roof line. Stationary Skids: 4"" x 4"" wooden runners under gazebo. Fastened permanently. Extra Screen Door: Add multiple entrance points. Specifications: Double 2"" x 4"" Rafters: Our double rafters give your gazebo roof a heavy-duty load capacity and help prevent beam warping. 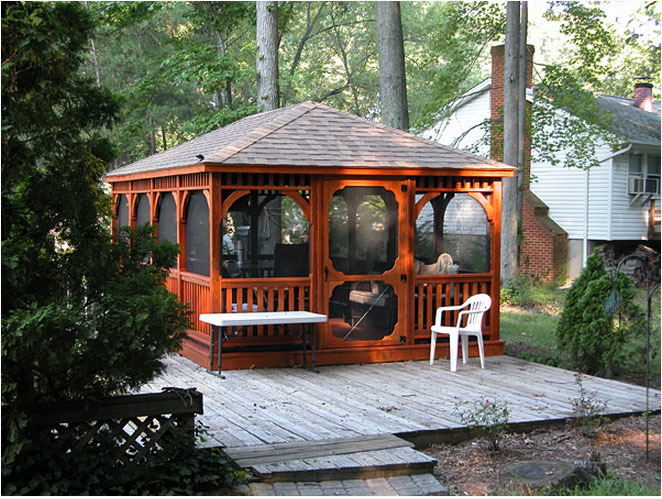 #1 Premium Grade Lumber: We use only the highest quality lumber for your gazebo. We mill every piece in-house to reduce splinters and rough edges for a smooth finish and better feel. 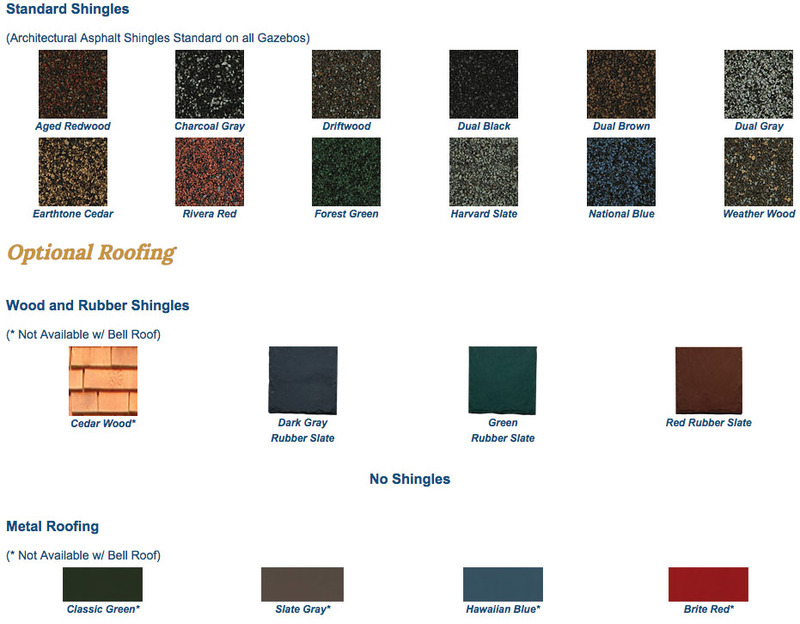 Laminated Posts: Our laminated posts resist checking and add strength while giving your gazebo a custom look 24"" Western Red Cedar Shingles: The optional red cedar shingles are made with high quality cedar, offering a traditional look. 2"" x 6"" Braces: These braces offer additional strength and control side motion. 36"" High Rails: Brings railings up from the standard 32"" to 36"". Great for higher elevations. Extra Strong 2"" x 6"" Decking: 2x6 decking means strong construction, plus our hot-dipped galvanized screw nails are designed to stay seated for a lifetime. Milled 1"" x 4"" Ceiling Lath: Our milled 1x4 laths allow your cedar roof to breathe and offer a wonderful interior appearance as well. 2"" x 8"" Compression Ring: The compression ring ties the rafters and posts of your gazebo together for additional snow load capacity and wind stability. Heavy Duty Railings: The railings on your gazebo are built to last! We utilize heavy-duty lumber to resist wear and vandalism. Stainless Steel Screws: Stainless steel screws help to maintain the long life of your gazebo and offer a finished appearance. Double 2"" x 6"" Floor Joists: Helps prevent warping of joists and popping of floor boards. They also allow for a better straight down fastening of the floor board, giving your deck a stronger, longer-lasting life.